The Christmas countdown has begun and we couldn’t let the season pass without paying homage to the honorable Christmas Sweater. 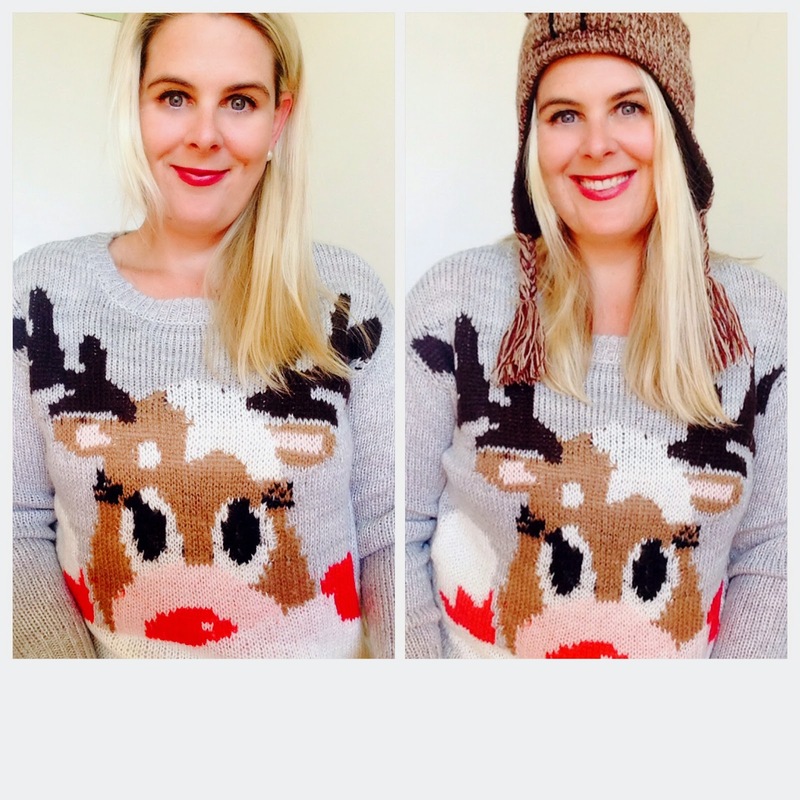 It has gotten a bad reputation over the years, so I wanted to see if I can change some thoughts on this and show you some super cute winter sweaters for the season 2014! It’s only fitting that I adorn one of these festive fashions myself. My journey for christmas sweater heaven was enjoyable and playing with how I could dress it, well, that’s what YummoMummo does so well, styling! 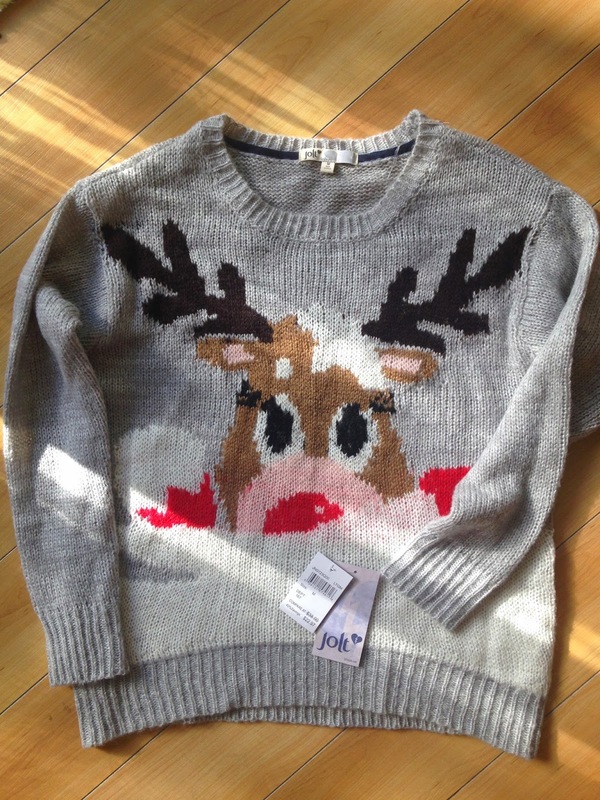 I’ve chosen a super cute Reindeer Christmas sweater by Jolt. It’s current and at Nordstrom Rack www.nordstromrack.com for $22.95. And at that price, everyone can afford to get in the Christmas spirit. My super cute choice of Xmas sweater. It’s a great example of a Christmas sweater that doesn’t scream “Ugly Christmas sweater”. How can a cute reindeer be ugly? 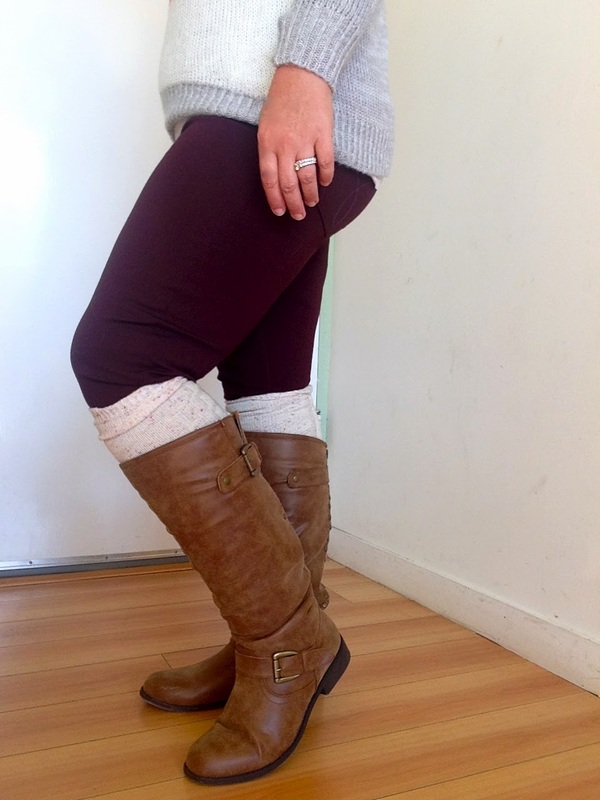 If you read my blog post on “Shark Bite Sweater”, you will know I talked about the knee-high sock trend we are seeing this Fall/Winter. Here I am in my Steve Madden Knee-High Cable Knit socks in Speckled Cream. $7. Nordstrom Rack. Following is a fun idea if you want to take the ugliness into your own hands and have some control. This sweater comes simply as a red blank canvas and with the shown embellishments. You can choose how you want to decorate it, go crazy and make and it as understated or as blinged out as you possibly want. The uglier, the better. And being a blonde myself, I just adored this sweater. Maybe I should wear it when I take the kids to visit Santa next week and see if I can get a good old chuckle out of Saint Nick! Also comes in Brunette so blondes don’t take all the fun. So I hope I have shed a new light on the christmas sweater. Maybe one christmas season, it will call for an Ugly Sweater Party! Egg Nog, anyone? *Disclosure: I am not a trained photographer nor trained in how to pose for photos, I am just a Mum trying to share some insights and inspiration with you. 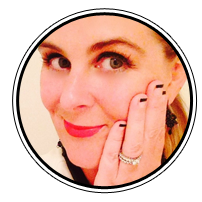 In being truly authentic to my cause, I have used my own clothes and used myself in the photos whole-heartedly. Enjoy! Got a comment? You know where it goes, down below! Keep on Stylin! (For those having problems posting comments, you will be asked to type an authentication code before your comment can be published by me). Let me know if you have any issues, I’m working with Blogger on this. Ok so I think you can officially say you've brought the Christmas sweater back in style. 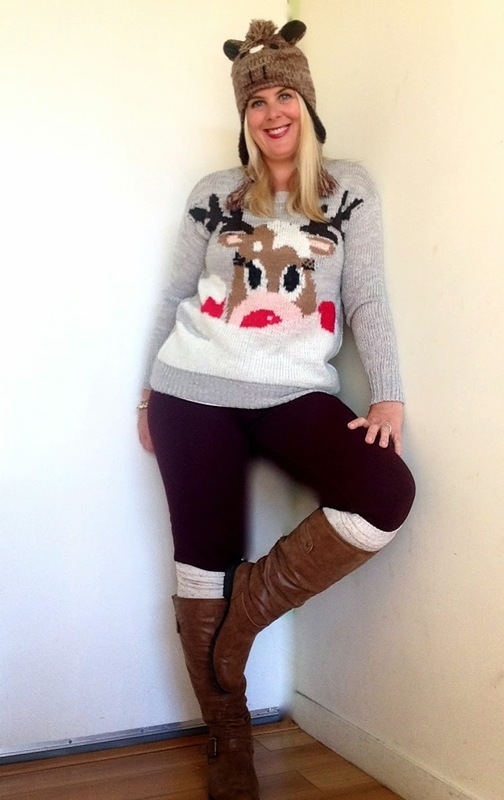 So darn cute with the boots and beanie and sure to bring a cheer to all around you. The make your own ugly sweater sounds so fun and a perfect activity for a ladies night over the festive season. Hooray for the holidays!